 Very big thank you to Ensso Pens for sponsoring edjelley.com for the next few months. It’s much appreciated and helps keep the site running! If you haven’t heard of Ensso Pens before, you’re missing out. Ensso got their start on Kickstarter with some minimally designed writing instruments. They have had a few very successful campaigns that brought their products to market, which are now available to purchase on their website without a wait. They sent along a few samples for review, so be sure to keep an eye out for those soon. I’m particularly enjoying my blacked out Piuma – an aluminum bodied, clipless fountain pen that’s super comfortable to write with. As a token to the readers of edjelley.com, Ensso Pens is offering a limited time discount that’s good for 30% off your order. Click the link below to check out their offerings and pick something up! Click here to shop Ensso Pens! It appears the limited time offer for the Ensso pens was indeed quite limited, as the 30% code is not working today.